The ABCD Diaries: Bob the Builder Returns to PBS with All New Episodes! Bob the Builder Returns to PBS with All New Episodes! 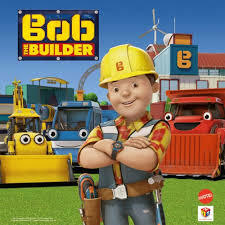 A beloved childhood friend is making his return to preschool television with a whole new look and feel this November with the premiere of the newly reimagined Bob the Builder series, now including the voice talent of Downton Abbey’s Joanne Froggatt as Bob’s friend Wendy. The iconic kid’s series Bob the Builder debuted on PBS November 7th (check local listings for specific times) with updated CGI-animation, a brand new look for the series. We are so excited about Bob and the crew returning! Meet Bob the Builder and his team in the video below and don't forget to check your local listings to find out when to catch them on TV!